Concord, NC Lawyer - Hartsell & Williams Attorneys, P.A. At Hartsell & Williams, P.A. you will find a team of attorneys who offer a "full-practice approach" to help with all of your legal needs. Our attorneys specialize in different areas of the law, but also work together to offer our clients the best representation. We are savvy to the current issues our clients face, but mature enough to know how to not waste resources of time. We handle domestic and family disputes, traffic violations and driving under the influence (DUI), civil litigation, as well as business and construction law. We are also very experienced in handling real estate, social security, estate planning and criminal law cases. All of our attorneys are members of the North Carolina State Bar and the Cabarrus County Bar Association and we are very involved in our community serving in civic organizations and on non-profit boards. Hartsell & Williams, P.A. is the oldest continuously operating law firm in Cabarrus County. The firm was established in 1896 by Luther Thompson Hartsell who was later joined by his son Luther Thompson, Jr. and later by John Sharpe Hartsell. John Hugh Williams founded the firm Williams, Willeford & Boger in 1962. In 2002, the Hartsell firm merged with the Williams firm, creating the present firm of Hartsell & Williams, P.A. Hartsell & Williams has added additional partners over the years but has always maintained the names of its original founders. Learn more about Our Attorneys and Practice Areas. Our attorneys can guide you through the complicated process or filing and pursuing a non-criminal law suit through mediation or in court. Our construction litigation attorneys specialize in issues that are specific to the building industry that include contract negotations and disputes. If you have been accused of a crime, it is very important that you seek legal advice immediately and hire an experienced lawyer to protect your rights. Whether you’ve been brought up on charges at the state or federal level, our attorneys can help prepare your defense and bring about the best possible outcome for your case. Domestic and family law is a sensitive realm of the legal world and can be very personal for clients. Our attorneys understand that at Hartsell and Williams and strive to make what may be a difficult time go as easy as possible for you and your family. 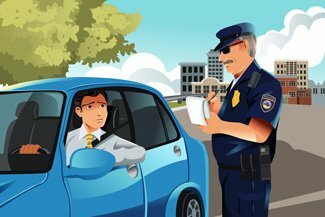 Understanding the process after a DUI arrest with experienced representation can help reduce your charges and the overall cost accrued. Deciding how your assets are handled once you pass is one of the most important decisions you can make. Your estate is built over the course of your entire lifetime—it’s important to feel confident in your legal counsel and the legal team who will be in charge of allocating those assets in accordance with your wishes. Whether you are buying or selling a property, our real estate attorneys can make sure you are making legally sound decisions--especially when it comes to multiple party interests or investments. Dealing with a work-related injury is never easy, and unfortunately it’s a common issue in America. Apart from the pains of medical expenses and the physical rehabilitation often required afterward, the legal process can be just as strenuous without the proper advice and counsel. Family members often struggle with what to do when a loved one passes away. Whether a death is sudden or expected because of old age or illness, the details can still be daunting. Below are five things we recommend to help you through this difficult time. Many thanks to the great team at H&W. It was a pleasure to work with you guys, first class all the way!